Nitrocellulose supported or non-supported blotting membranes optimized for chemiluminescence purposes. 0.1, 0.2 and 0.45 µm pore sizes. 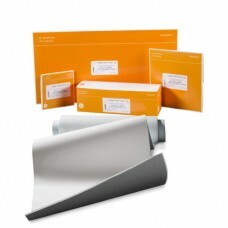 Amersham Protran 0.1 NC 300mm×4m 1 roll/PKVersatile nitrocellulose membrane, with 0.1 µm pore size, ..
Amersham Protran 0.2 NC 300mm×4m 1 roll/PKNitrocellulose membrane, with a 0.2 µm pore size and high ..
Amersham Protran 0.45 NC 300mm×4m 1 roll/PKNitrocellulose membrane, with a 0.45 µm pore size, is sui..
Amersham Protran Premium 0.2 NC 300mm×4m 1 roll/PKNitrocellulose blotting membrane, with 0.2 µm pore..
Amersham Protran Premium 0.45 NC 300mm × 4m 1 roll/PKNitrocellulose blotting membrane, with 0.45 µm ..
Amersham Protran Supported 0.2 NC 300mm×4m 1 roll/PKRobust protein blotting membrane, with 0.2 µm po..
Hybond N is a neutral nylon membrane capable of high sensitivity in DNA and RNA blotting. It is a st..